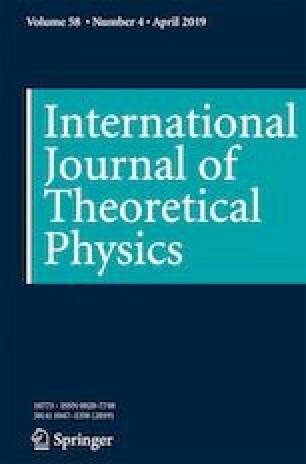 The evolution of two-level atomic system, in which the initial state is excited state, is investigated by adjusting the structural parameters of the dynamic and static double Lorentzian environment reservoir. In a static state (no modulation), we studied the effects of half width, center resonant frequency, and specific gravity on the evolution of energy level population. Under dynamic modulation, we used the dynamic cavity environment to control the evolution of spontaneous emission from an excited two-level atom. The dynamic modulation form for the half width of the double Lorentzian environment reservoir includes the rectangular single pulse, rectangular periodic pulse, and slowly continuous pulse. These conclusions make the idea of using the environmental change to modulate the coherent evolution of atomic system become true. This work is supported by the National Natural Science Foundation of China, Grant Number: 11347013; Scientific Research Fundation of the Education Department of Jilin Province, Grants Number: JJKH20190764KJ; Specialized Fund for the Doctoral Research of Jilin Engineering Normal University, Grants Number: BSKJ201828.